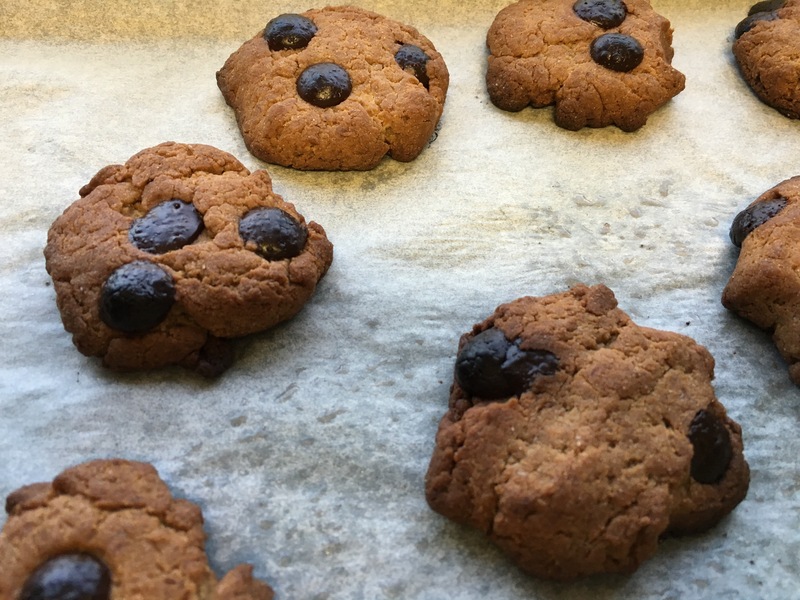 I have been trying my hands at baking vegan gluten free cookies and cakes. This is my experiment for the evening. 4. Slowly mix the dry ingredients to the wet ingredients. 5. Fold in the chocolates chips into the mixture. 6. Divide the dough and flattened them on the baking tray. 7. Bake for about 10 minutes.